oils and stimulating scents that leaves an everlasting effect to keep you refreshed, focused, cooled, and alive. Each of these inhalers is made of 100% natural and good ingredients. We also stock another variety of products for you. About Us : Enjoy The Journey The trip that started it all For hundreds of years, people in Southeast Asia have known about the secret of nasal inhalation products sold in apothecaries and natural pharmacies. Not only have they been used as powerful decongestants, but also to enhance mental acuity, energy and focus. Some even claim a higher state of consciousness. Tie-up your BoomBoom with the custom BoomBoom Lanyard and you wonâ&#x20AC;&#x2122;t lose it anywhere! 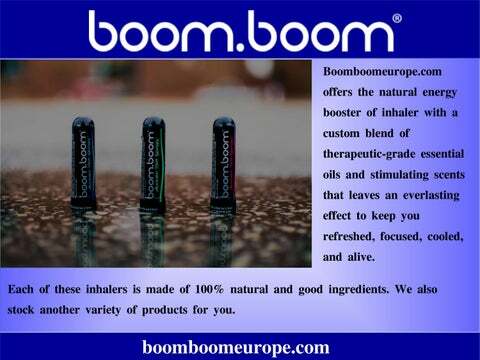 Shop the exceptional variety of products at boomboomeurope.com. Wearing it under the sun or styling with the casuals, the Boom Boom Cap is a fun head-wear to move around with. 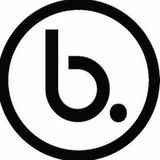 Take a visit to boomboomeurope.com and shop to your heartâ&#x20AC;&#x2122;s content! Want healthy, soft, and supple lips? Get yourself the Buzzing Lip Balm at boomboomeurope.com right now! Made of 100% Natural Ingredients.